We look forward to your return and an actual stay a the Culinary Cottages. 1. After completing this Rental Request, a Culinary Cottages Representative will contact you. 2. You are permitted to request one stay over the course of any three month period. 3. If the date you are requesting is not available, the Representative will offer you alternative dates of availability, including any availability up to 3 months after your requested reservation date. 1. At this present moment, only two Cottages are available, and availability is based on whether or not our owners "decide" to rent their inventory. 2. 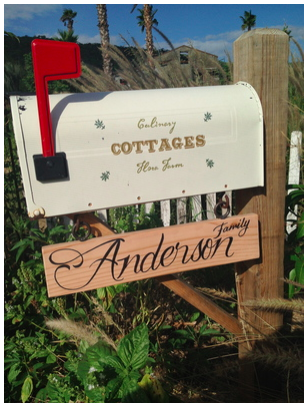 A third Cottage will come on line in the first quarter of 2015, which will increase our inventory and availability. 3. Later in the 2015, it is likely a forth Cottage will be completed, doubling our current inventory and availability. 4. The majority of Cottage Owners do not know if they want to rent until several months prior to their usage/ownership. Thus, your request may not be confirmed until several months prior to your requested check-in date. *Any requests not performed by completing this form shall not be considered as official requests by Developer.